Does it seem like you're just spending more and more money every month on groceries and food shopping? Is it getting harder to stick to your household shopping budget with every passing week? If so, you're not alone. In these tough economic times, many of us are trying to cut back on our household bills, while at the same time dealing with rising food prices at the supermarket. This article is here to give you my tips and advice on how you can start to change that. There are many simple things you can do to start saving money today at the supermarket - while also eating better and healthier food! Learn simple ways to shop smarter and cook better, without having to cut out all the foods you and your family enjoy. 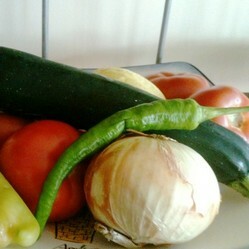 Image above: fresh summer produce, photo by sockii. What Does Saving Money on Groceries Cost You? There is a price you must be willing to pay if you want to save money on your food shopping and eat healthier: your time. You have to be willing to plan your meals in advance more carefully; be ready to learn to slow-cook different vegetables and cuts of meat; to take stock of your food supplies, and perhaps buy certain new appliances or kitchen utensils that will save you money in the long run. But if you are concerned about your finances and also your family's health, putting the time in to these matters will prove to be well worth it. What might seem burdensome or difficult to do at first becomes almost second nature with practice. I can have fresh-made, inexpensive home pizza on my dinner table far faster than if I'd called for delivery. I can have quick and nutritious lunches to enjoy instead of relying on frozen meals or take out from a fast food joint. Part of it is learning to retrain ourselves and value what is important in life: eating well and eating within our budget, or constantly being stressed out over grocery bills and eating mass produced junk food? How concerned are you about trying to save money on your grocery bill? Very concerned. I need to save money but I don't want to sacrifice eating healthy and nutritious foods. Very concerned and I'll do whatever I have to, to save money. I've lived off Ramen noodles before! Somewhat concerned. I'd like to try to save at least a little money now that grocery prices are so high. Not really concerned. Grocery shopping isn't a major part of my budget/others in my household take care of the food budget. Not at all concerned. I eat what I like to eat and don't worry about what it costs me. 1. Always Prepare a Shopping List! 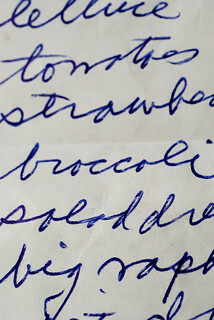 A shopping list will help you stay focused when you go to the store, and make sure that you don't forget something important that could keep you from making that meal you'd been planning for dinner! Don't end up getting stuck ordering take-out because you forgot butter or vegetable oil to cook with, or the potatoes you wanted to serve with your roast. 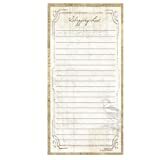 Having a list will also help you stay focused and not buy items on a whim, just because they caught your eye in the supermarket. Market displays are designed to encourage you to make impulse buys, be it all those potato chips on sale for the week or a last minute bag of candy before you check out. Tell yourself you will only buy what's on your list when you go shopping, and/or limit the number of items you can add to that list to things you truly forgot you needed, not just what "looks good" at the moment. Do You Make Shopping List? I haven't in the past, but I'm going to start now! Avoid the urge to make impulse purchases. Has this ever happened to you? You're running errands, dashing out to the market, and absolutely famished before you even step foot in the grocery store. You walk inside and everything looks so good, you just can't resist. Sticking to what's on your shopping list becomes impossible. The aroma of a fresh roasted chicken makes you grab one to go, or some doughnuts or snack chips for the car. Suddenly your planned $50 shopping trip has turned into a $100 binge of food you don't even need, but it sure looked or smelled good at the time! Sometimes you can't help it - your only chance to go shopping is on the way home from work, it's late, and you don't have a choice. Try to always have some snacks on hand or in your car to avoid being overwhelmed by cravings and hunger. Force yourself to stick to your shopping list. Of course, most people know about clipping coupons and checking advertised weekly sales at the supermarket to look for good deals. The problem I have with solely relying on this method to save money is that coupons are often for processed, packaged food products that aren't necessarily your healthiest options - and you're still paying a premium over making your own (see section below on making your own snack foods.) Of course, that's not to say one can't find useful coupons at times for kitchen staples and household goods, but don't buy things you don't really need or are overpriced to begin with just because they're "on sale". If you've got several different supermarkets in your area, learn which ones are best for different types of groceries. For instance, my local market A has a great meat department which often has 2-for-1 sales, really handy for keeping my freezer stocked. However, local market B has better prices on cat food generally, and other canned goods I need to buy regularly. There are now even websites, such Compare Grocery Prices, where you can look up items you need to buy and see which local store has the better price. Do you use coupons when shopping to save money? All the time. 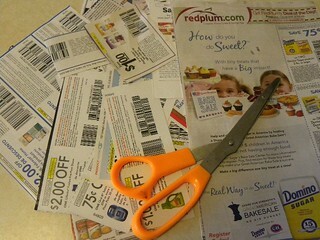 I regularly search newspapers, flyers and other sources for coupons to use when shopping. Sometimes. If I happen to see or get a coupon for something I know I'll eat, I'll save it. I've occasionally used coupons, but not very often. I don't really bother with coupons. I've never clipped coupons before, but I'm going to start now. Avoid waste by planning and storing properly. Become aware of what staples you use regularly in your cooking, and stop buying small packages and bottles of them when larger sizes are available. For instance, I'm always using a lot of soy sauce in marinades and meat dishes, so it makes no sense to buy a small 12 or 16oz bottle when I can buy 2 quarts at a much better price! Does your family go through a lot of mayo? Avoid the fancy little squeeze-bottles and go for a big jar, if you'll go through it all before its expiration date. I also buy staples such as flour, rice and dried beans in large quantities when I can, because they will last a long time and not go wasted in this house. The trick however is to make sure your bulk food purchases are stored well - especially grains, nuts, flour and pasta which can get stale or even infested with bugs if not in good containers. Invest in some attractive, tightly sealing glass jars and canisters - plastic food storage tubs won't do the job! If you buy meat in bulk or so-called family packs, divide them up as soon as you get home, wrapping individual servings well in freezer bags before freezing. What about Wholesale Clubs? 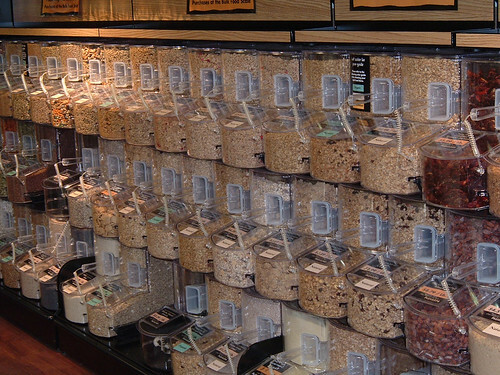 Are they good money savers for buying in bulk? Costco, Sam's Club, BJ's...some people swear by them, but I don't, at least not for grocery shopping. If you have a very large family to feed, perhaps you can do well at these wholesale clubs. But my problem is that fresh produce can generally only be bought in large quantities at a time in these stores - so large that my partner and I can never finish them all before they spoil. The meat in my opinion is not of remarkable quality, and much of the food products are prepackaged, frozen, boxed, canned, etc....not the kind of fresh and healthy eating we enjoy. So before you shell out the money to join one of these clubs, take a close look at the products they have available and whether you'd really be saving any money by joining - or just buying a lot of food you won't use and don't need. Do You Belong to a Wholesale Club? What's your opinion of them? I belong to one or more wholesale clubs right now and find it a good way to save money. I belong to a wholesale club right now, but probably won't renew. It's not worth it for me. I used to belong to a wholesale club but no longer do. I'm thinking of joining a wholesale club. I have no interest in joining a wholesale club. I hate throwing away food. If you make a big pot of chili, soup or stew and there are leftovers, store it in the fridge as soon as it's cool. Label and date it so you remember when it was made. If you're not going to eat the rest of it within a few days, put it in the freezer, so you'll have a quick meal ready to go some night when you need it. Don't let leftovers take up space in your fridge, only to grow mold and go wasted. If you know you don't like eating leftovers, learn to cook in smaller portions at a time. Don't take out meat to defrost that you "might" decide to cook that week - only to forget about it or run out of time before it's gone bad. Don't leave your freezer full of "mystery containers" that you meant to save and eat months ago but now you have no idea what's in them. Similarly, try to only buy what you need and what you know you'll use in a timely fashion, especially when it comes to fresh fruits, vegetables and dairy products. Are you constantly throwing spoiled milk away? Stop buying a whole gallon at a time if you only drink a cup or two a week. Sure, you're trying to eat healthier so you keep buying fresh fruit and yogurt every week to snack on - but are they just ending up rotten and spoiled in your trash? 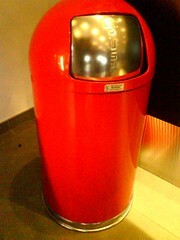 That's good money you're throwing away - so stop buying things unless you serious know you're going to use them. Do you live alone or frequently have to cook meals for just yourself? Not crazy about eating leftovers? 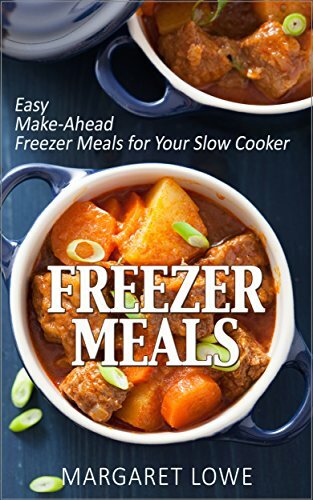 These books will help you enjoy making tasty and healthy meals for yourself, so you stop wasting money on extra food you're just throwing away - or spending too much on restaurant/take-out meals. It's like a supermarket in your very own kitchen! 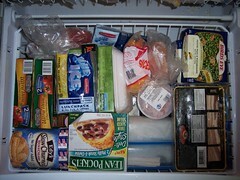 A full freezer always makes me happy - but it can also become confounding. Do you actually know what's in your freezer? Perhaps it's time to go through it all, and even take an inventory before you go shopping again. You might think you "need" to buy tuna steak, pork chops and ground beef this week, but all of those meats (and more) might be hidden way deep in the back of your freezer and you've simply forgotten that it's there. Of course, by the time you find it 6 months (or even several years) from now, it's freezer-burned, tasteless - and just more wasted money in your trash. So take the time to go through your freezer every few months, write up a quick list of what you've got, and really plan and think about what you need to buy. There may be certain cuts of meat or fish that you regularly do need to stock up on and re-supply because you cook them frequently enough (for me it's shrimp and chicken thighs). Otherwise, only buy what you plan on cooking soon or find at an especially good sale price and can freeze until ready to cook. A vacuum-sealer system can help preserve food in your freezer better, too! 7. Raid Your Pantry - Regularly! Plan a "pantry dinner" at least once a week. It's comforting to have a well-stocked pantry - the reassurance that, no matter what, we've got something in the house to eat, right? But be honest: how much do you cook from your pantry versus always buying fresh for your refrigerator? Of course fresh is quite often the best. But yet we still feel the pull to buy canned and boxed goods to keep on hand "just in case", or buy more than we need when on sale ("10 boxes of pasta for $10? Whoo hoo!") But often those cans can sit there untouched for months, if not years, boxes of cake and baking mix long past their expiration dates. So start paying more attention to what's in your pantry and how you can use it. 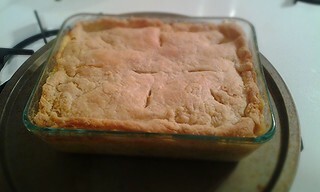 Bake up a big casserole with some canned veggies and tomatoes, maybe a can of mushroom soup to thicken it. Absolutely, mix these ingredients in with fresh foods from your refrigerator or garden to liven up the flavor and made it better for you. But if you've got it, use it. Don't wait until that 10-year old can of peaches explodes and you've got a real mess on your hands - and all over your kitchen! 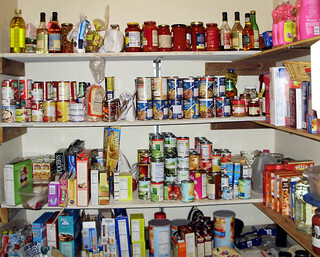 Also look into ways you can prepare your own, healthier pantry options. That way you will always have good food on hand no matter the time of year or season. They'll go a long way, and are tastier, too! Skinless boneless chicken breasts. Lamb chops. Filet Mignon. Put back that package of chicken tenders and go for some chicken thighs or drumsticks - they'll have more flavor, and you can still remove the skin if you're being fat-conscious. Better yet, buy a whole chicken - it's not difficult to de-bone or cut into pieces, and then you'll have a carcass on hand to make soup or stock from. And don't forget offal meat, like liver. 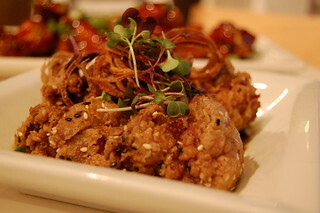 Inexpensive yet rich in flavor, there is a lot you can do with offal, such as chicken livers, which happen to be a real favorite of mine in pasta sauces, deep fried, or as a topping for bread and crostini. Learn how to marinate less expensive cuts of steak or cheaper roasts in the crock pot to end up with a very tasty and tender meal. We don't have to cut meat entirely out of our diet to save money, just learn how to prepare and enjoy not just the premium cuts but all kinds of meat. 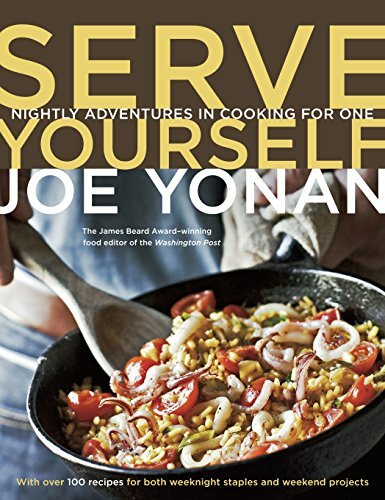 This highly-recommended cookbook is all about preparing cuts of meat that are often looked down upon, if not outright discarded. But learning to cook offal and these neglected (and generally inexpensive) cuts can help you save money in the long run while still preparing delicious, healthy meals. 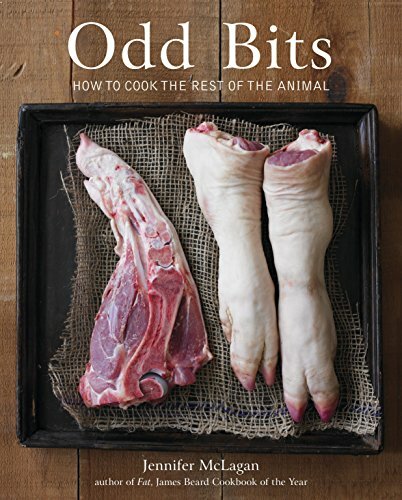 So if you're willing to really get into using the "whole animal" in your cooking, I definitely suggest checking out this title. Beans are a great thing to start using more in your cooking if you want to save money and eat healthier. High in protein, fiber and very satisfying, they are great to add to soups, stews, casseroles, chilis, salads, tacos...you name it! 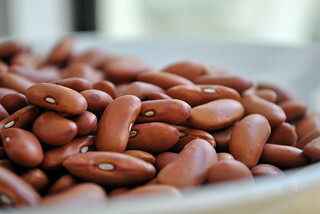 And while canned beans typically aren't that expensive, cooking from dried beans is even cheaper. 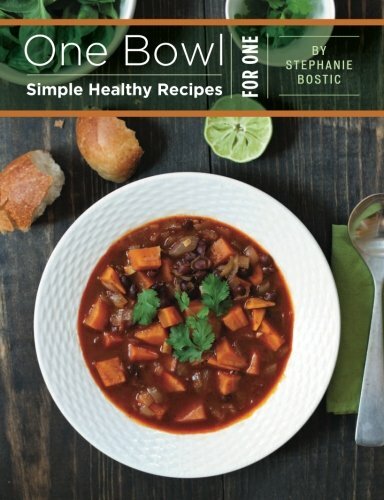 It's also extremely easy to do in a slow-cooker! "Cooking dried beans in a slow-cooker" is a wonderful article that will show you just how to do it, and then store all your cooked beans for quick and easy use in the fridge or freezer. One 16oz bag of dried beans (which you can typically buy for about $1 or less on sale) will yield roughly the equivalent of three 15 oz. cans of beans (which can cost anywhere from $1 to $3 at the supermarket, depending on the variety). Given the low-energy consumption of a slow-cooker, this is a decent little money saver, if not a huge one. More importantly, you'll find that the taste and texture of home-cooked beans is much preferable to that of canned beans, so you may convert some previous "bean-haters" into loving them. They're great for meatless meals! Slow cookers are so useful in so many ways today, whether cooking beans or weekend chili, or preparing a Sunday pot roast. Best of all, you can set it up in the morning, go to work, and have dinner ready to go! It's perfect for the professional or busy parent who doesn't have time to spend hours over the stove. 10. Don't Forget Farmers Markets! Some people claim they don't eat a lot of fruits and vegetables because they're too expensive. Well, when you're eating strawberries imported from half-way around the world, in the middle of winter, not only are they going to be expensive but they're probably not going to taste very good! Learning to eat with the seasons - what's fresh, what's local, what's good to eat right now - not only will mean better flavor and more nutritional value in your produce - but also can save you money. 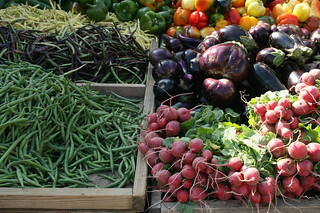 If you live in an area with seasonal farmers markets and vegetable stands, start checking them out! In the summertime I can get giant baskets of sweet peppers, cucumbers, peaches and plums for only a few dollars. Giant vine-ripened Jersey tomatoes instead of those horrid hot-house supermarket tomatoes that taste like cardboard. Fresh white corn, eggplant, apples and squash - each has their season, and as you spend time at your farm markets you will start to learn them and how to take best advantage of them. If you can get a really good deal on a large quantity of fruits or vegetables (or perhaps start growing your own?) consider canning them as well, to store for winter use. 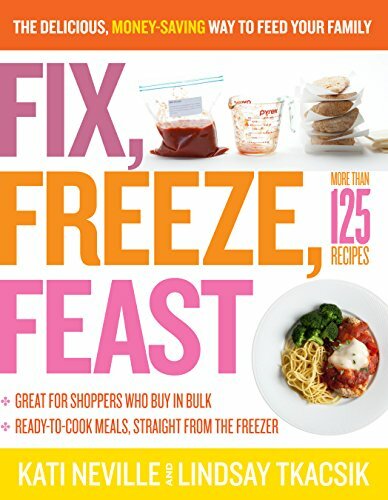 Stop reaching for Lean Cuisine and make your own prepared "quick fixes"
The frozen food aisles of most supermarkets promise quick and convenient meals for one, or for an entire family. But have you noticed how expensive they are for what little food you actually get? A single 9-10ounce package of Lean Cuisine could cost you anywhere from $2.50 (on sale) to $4.50 in the supermarkets near me - and is hardly a really satisfying meal. I could easily make an entire casserole or hearty stew to make 6-8 servings for under $10, then store them in freezer-safe, single-serving containers to enjoy whenever I want. Not only that but my food will be much lower in salt and preservatives then what you'll get in a frozen food box. Weekends are a great time to make a large pot of chili or other type meal that will freeze well and give you food to last through the week. Looking for a few ideas? 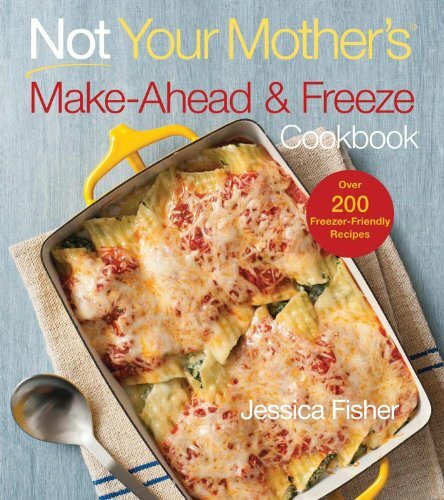 Today there are cookbooks all about freezer make-ahead meals, and they aren't all old-fashioned casseroles, either. Who doesn't love tortilla chips? Tasty, crunchy, and they go great with almost everything from soups to salads and dips. 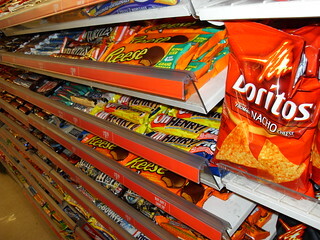 But a 12-14oz bag of tortilla chips can cost you easily $4.00 a pop these days - and many are loaded with salt, preservatives, artificial flavorings and fried in dubious oils. I've never understood why one would buy these, when you can buy an entire seven and a half pound bag of fresh corn tortillas for under $12. 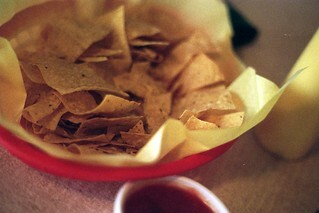 Do you know how many tortilla chips that'll make? Plus you can cook them however you wish - deep fried of course in corn oil, baked in the oven, or just warmed over gill or gas burners for yummy soft tortillas. You can control how much salt you add and other seasonings as well. If you can invest a little money upfront, you can save a LOT in the long run by making your own homemade snackfoods like dried fruits, potato chips, ice cream pops and more! Pizza is one of my favorite foods to enjoy, but I never waste money on frozen or take-out pizza, and rarely order it in restaurants. Why? Because I can make it so much tastier, healthier and cheaply at home. I hope I was able to share at least a few good tips and pointers with you in this article. Do you have any other secrets or recommendations to share with readers? Feel free to leave them here before you go.